Outfits like Uber and Lyft are synonymous with the gig economy they’ve helped to create, allowing ordinary individuals to get their side hustle on and make some extra spending money, pad the earnings from their day job or even become their primary source of income entirely. Carting people or goods around can be an enjoyable job but for some, the hurdle of not owning a vehicle (or not having one that’s up to par) leaves them sitting on the sidelines. No more, says General Motors! The automaker on Wednesday announced an expansion of its Maven mobility program for the gig economy. 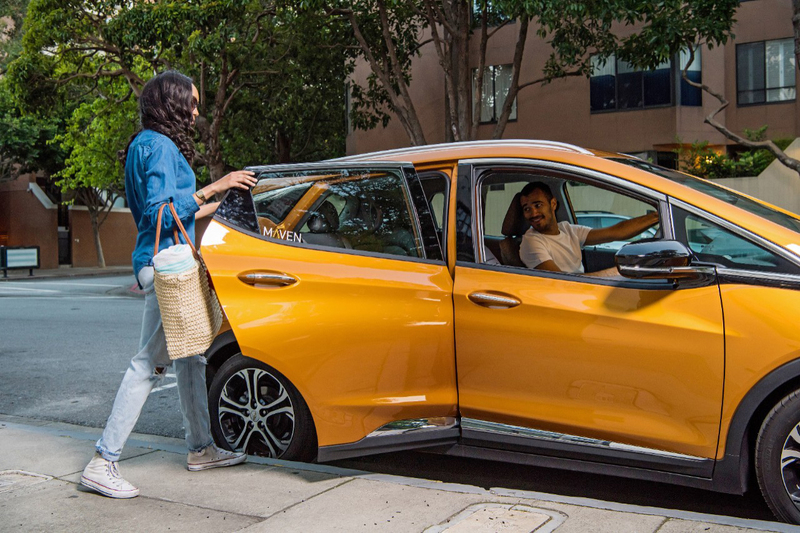 With Maven Gig, drivers can now rent vehicles to use for independent gigs to deliver packages, food, groceries and of course, people via ridesharing services. Pricing is set at $229 per week for a Chevy Bolt EV and includes insurance (minus deductibles), maintenance and unlimited miles. GM says a Bolt gets an estimated EPA range of 238 miles. The program is live in San Diego, GM notes, and will launch in San Francisco and Los Angeles later this year. What’s nice about the Maven Gig service versus partnering directly with a company like Uber on a vehicle is that you aren’t locking yourself into something long-term. At just a week at a time, it’d be practical to turn the vehicle back in and go do something else if need-be.